Every two hundred years or so, shimmering threads fall, raining black ruin on Pern. The great dragons of Pern hurl themselves through the beleaguered skies, flaming tongues of fire to destroy deadly Thread and save the planet. It was not Threadfall that made Menolly unhappy. It was her father who betrayed her ambition to be a Harper, who thwarted her love of music. Menolly had no choice but to run away. She came upon a group of fire lizards, wild relatives of the fire-breathing dragons. Her music swirled about them; she taught nine to sing, suddenly Menolly was no longer alone. As I packed my books for my coming move into my first apartment, I found this book at the bottom of my bookshelf. I remembered most of the story and that I had read it in Middle School. The memory also brought back feelings of enjoyment and content, so I decided to read it again, especially since I have not done so in so long. This did not originally belong to me, I actually nabbed it from my mother’s bookshelf where it was collecting dust. At the time, I believe I was 12-13, I had just started reading beyond The Magic Treehouse books and into “older” fiction. I saw the beautiful cover and was intrigued by the promise of adventure not with dragons, but tiny fire lizards. Rereading this book has been quite an adventure. It has given me insight on not just how well (or not so well) my memory is, but also how much my taste in literature hasn’t really changed. Sure, I have broadened my reading and expanded my horizons, but fantasy and science fiction are always my fall backs. I have also surprised myself as well, wondering how in the world this book kept my interest as an twelve year old with a short attention span. This book is quite unique, well maybe for my collection, because it is one of those rare books that I would consider both science fiction and fantasy. It’s science fiction because the people are descendants of space travelers who colonized Pern, also because there’s mentions of time travel, and gives a scientific explanation of Threadfall. The book is also fantasy because there are not only dragons, but the world has a Medieval sort of feel to it because the people’s society had steered away from technology and directed more toward simple living. I believe the overall genre would be fantasy because most of the science fiction elements are only mentioned in the first few pages, which let’s be honest, not many people read the forward. While the story is less than 200 pages, it doesn’t always feel that way. I sometimes had trouble with the pacing of this book. Sometimes the author would take a page to cover an entire day, sometimes a few pages to describe a week, or take several pages to describe a single event that took half a day or a few hours. I understand that many books are like this, however, I felt like some of the events that the author breezed over could have used the pages that other events didn’t really need as much. Also, the language of the book took me a little while to get use to, even by the end I had to go back and reread a few passages again before moving on. I enjoyed the language and writing style of the story, I felt like it really added to the atmosphere and made the story more authentic, especially with the dialogue. However, I believe that for many people, especially younger in age, the language and style might make the story a little difficult to read. In fact, I was surprised that my younger self was able to read through this book without having a lot of reading experience. McCaffrey’s writing style may be a little difficult to get used to for younger audiences, not just because of the grammar and word usage, but how she actually tells the story. I’ve already mentioned about the pacing, but there’s more. It’s how McCaffrey creates her world. She doesn’t spend a lot of time describing things, at least not in the way many current literature does. Her descriptions of people and places are quite brief, and normally aren’t mentioned again unless from a different person’s perspective. I’ve found this style to be very common for this era of literature, but I do find that it may be an issue for younger generations, especially with their need for instant gratification and over explanations. I do have to say though, McCaffey does a wonderful job explaining the history of the world she created and certain events that follow in the story. I found this story to be quite refreshing from my past few reads. Many of the books that I have recently read or bought are dripping with cliques, romance, and predictability (or a combination of the three). They’ve been pretty much the same story but with different names, personalities, and locations, sometimes even a different genre. So it was nice to read a Coming of Age story that didn’t even have a shred of romance in it, just about a young girl trying to find her way in a hostile society, overcoming adversity and befriending sassy fire lizards. Like a traditional fantasy, this story has way too many characters to list and talk about. Some characters were used often, others were named and given a few scenes before they got left behind in the background. I found that the fire lizards could have been used better, there were times when a few were mentioned but it kind of felt like there were too many cooks in the kitchen, so to speak, in a few of the later scenes. Most of the story is told through the eyes of Menolly, a young girl who loves to sing and play music, but is basically forbidden to do so because of the old ways of society. Apparently, music crafting is a man’s job and she lived in a society that was stuck in the past. However, Menolly survived and was actually a rather strong female character. She wasn’t mean or nasty, wasn’t bossy or pushy. She did what she could, and when it seemed like everything was pulled out from beneath her, she had the ability to look beyond herself and take care of the fire lizards even in her grief. She was even able to pull herself out of grief with the help of her friends, and learned to live for others and not just herself. 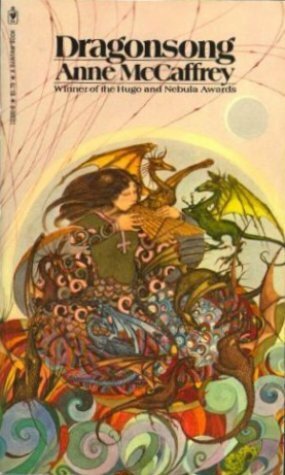 I would recommend this book to anyone who loves to read classic or old fantasy novels. It is technically a short read, though it may not feel like it sometimes, and it has a well thought out and wonderful story that any age could enjoy. I may even venture to guess that those of different ages will get something different out of it than others. I know that when I first read it I was fascinated by the dragons and learned that anything is possible if you fight for it. After reading it this time, I see a young woman (like myself) trying to find her place in the world and trying to figure out where she belongs. I would also recommend this novel to anyone who wants to read more from older literature/fantasy. It’s perfect for any young person to read if they want to read from the past. The story isn’t too complicated and the literature and style can be understood, though depending on the person it may take a while to get used to. But it’s a good example/ stepping stone of classic fantasy without tackling novels like The Lord of the Rings first. Overall, this story was actually pretty fun to reread. There were a few sections that had totally slipped my memory, but it was nice to read those again. And I found it fun to reread this book, not just because of the nostalgia, but for the learning experience as well. This opportunity has allowed me to really see how I have grown as a reader, and to see just how strong I was to begin with. Rereading also gave me the ability to see how my perception changed, and see just what I got out of reading this novel now compared to when I was younger. The story was a really good Coming of Age adventure. While the pacing was a bit odd for me and the characters were in plenty, the overall story was interesting and fun. It was a nice break from what I have read, or have been trying to read, the past few months. And I can’t wait to read the next book in the series. Don’t put this book down. I’m dead serious. Your life could depend on it. I’m risking everything by telling you−but you need to know. Her full name is Maximum Ride. And the girl can fly. Protect the rest of her gang−Fang, Iggy, Nudge, the Gasman, and Angel−from a pack of hal-wolf, half-humans with a taste for flying humans. Rescue Angel from a crew of wack-job kidnappers. Infiltrate a secret facility to track down her friends’ missing parents. Get revenge on the one person she thought she could trust. Discover the best chocolate chip cookie in New York City. Save the whole world, for crying out loud. Not necessarily in that order, of course. I first read Maximum Ride when I was in sixth grade. The book was first loaned to me by my best friend who really thought I needed to grow up from reading Magic Treehouse books. It was the first ‘Teen’ book that I read and it has been my favorite book ever since. Since the newest installment of the book was released last year, after what I thought was the last book, I decided to reread the entire series before I tackled the newest one. It’s also been a while since I’ve read it, and now that I’m older I wanted to see how my perspective changed. Even after ten years I still absolutely love Maximum Ride! It was so much fun rereading the book that got me into other fiction than American Girl Journals and Magic Treehouse. I even remembered where I was when I read certain parts of the book and what my classrooms looked like back in sixth grade. Isn’t that odd though, how a passage in a book can allow you to bring up past details like what an old classroom looked like? There were other little details in the book that I never really cared about (or grasped) as a child that bugged me a little when I reread it. Mostly they were just little things in the plot that most kids wouldn’t pick up on, but they weren’t as glaring as they could have been. As a whole though, this book still remains as one of my favorites. Going back through the story I was able to pick up on things that I never did before that helped explain later developments in the series. Max is still one of my favorite first person narrators, just because her train of thought is so different so unique. It really read like she was talking to herself a lot, which I absolutely adored! 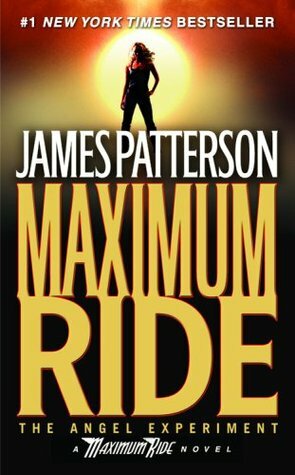 James Patterson has a unique writing style when it comes to Max and her story, especially for an author that writes a lot of Adult fiction with male leads. He made his chapters short, which made it easy to find a constructive place to stop between bursts in life. The short chapters also made the story flow more smoothly and quickly as well, which for a child with a short attention span is great! Each character was unique with their own personalities and abilities (quite literally super powers). I loved rereading all of the interactions between the flock members and seeing the first signs of my first ever ship Faxness (I swear, I got some weird looks when I had to contain my squeals in public)! There were times in which their actions didn’t strike me as quite normal for a group of kids, but then again, they’re a group of mutant kids so what can be normal? The book was very dialogue heavy. This makes it easier for kids to read and a lot of adults like dialogue heavy books too. However, I found that some parts were lacking because of the pages and pages of dialogue. Don’t get me wrong, I love dialogue, but sometimes I want more description than dialogue! So The Angel Experiment didn’t have a lot of world building, which is fine for younger readers because they mention pretty common places that have stereotypical images. However, it was a little disappointing how sparse the descriptions were for the scenes and even the characters themselves at times. Other times the description was great, but they weren’t as often as I would have liked, in my opinion. Read Maximum Ride when you were a kid and want to go down memory lane? Then pick this book back up and read it again! You’ll definitely experience a lot of nostogalia, and who know you might learn something new with your changed perspective! Looking for a book for your child or pre-teen? Then this book is what you’re looking for! It’s fast paced, easy to read, and creative enough to keep any short attention span happy! It will also give excellent role models for both girls and boys, and has a wide diversity of characters. Fan of James Patterson and not afraid to read younger books? Well this book may be able to satisfy your curiosity and figure out what his teen/young adult books are like. I can’t guarantee that you’ll like it, but who knows, it may just surprise you! Yes, I have totally made up this word, but deal with it! Anyways, this book doesn’t get the full 5/5 because even after ten years of not reading it all the way through I remember all of the major plot twists, so they weren’t as shocking as before. I will say though, reading this has given me clarity as to why some things happen in the later books that I never fully grasped. It was also a lot of fun to reread again, the nostalgia was nice. This was a little hard for me to rate because my opinion is colored by my childhood tastes. As a child, I absolutely adored this book and I still do. There are plot holes in some places, some description is seriously lacking in some areas, and the science may be a bit off in others. However, I still believe that this is a good solid story that is above average. Max has a unique voice that is refreshing to read, and her journey is exciting and fun to follow, definitely not one you find in other books. James Patterson offers a wonderful story to entice more children to read and gives them strong, positive role models of both genders. Not only does he not go away when she ignores him, but he does something none of the others have done. He speaks. Pagan is fascinated by the soul. What she doesn’t realize s that her appointed tie to die is drawing near and the wickedly beautiful soul she is falling in love with is not a soul at all. I first read this book my freshman year of high school, so that was a while ago. When I read it back then, I thought it was a decent book with some grammar and spelling errors that a good editor could fix. I think when I read it the book, it was basically the printed adaptation of the kindle version, and it looked like it too. I’m not sure if the recent editions have changed slightly, but I had to say that I had one of the original printed editions. But, let’s see how this book holds up the second go around, especially now that I’m older! Warning! This book has some dealings with mental illness (such as Bipolar, PTSD, and Schizophrenia) and psychiatric homes! I believe that age has definitely changed me as a reader. I remember when I first read this, all the tiny writing mistakes that I found in the words, and that was all I really found wrong with the book. However, now that I’m older, I have found a few more errors in this book, though mostly to do with character building and really bad Google research. Some of the character reactions to certain events didn’t sit well with me, especially to some of the traumatic events. What do I mean? Some of the characters were almost unaffected to some events that would make normal people just absolutely flip their switches or go into shock. When the main character reacted normally to the same situation, she was labeled as overreacting or mentally ‘fragile’. There were some other character actions that I found didn’t fit with their personality or age group. As for some of the dialogue from the teens, sometimes they didn’t fit. Teens are notorious for using slang, contractions, and the use of less formal variations of the same word when speaking to their parents or other teens. They don’t reply ‘Yes’ to every question, and they don’t say ‘Oh my G!’. As for the bad Google research, well that mostly ties in with later in the book with some of the afore mentioned mental illnesses in the warning. Some of the things said and described in that section of the book really aggravated me because it was clear that the author had no concept or experience with such things. Instead, her opinions/thoughts on mental illness and those who suffer from them were very stereotypical sheltered. The end was also a little twisted, not in a sick way, but in the sense that the author didn’t really completely explain some of the reality building she did in the book, especially in the last few pages. The author briefly mentioned some important themes in the dialogue, but didn’t fully explain them for the readers to get a clear grip on what she was saying. Maybe there will be more explanation in the next book? I can only hope, because I never got around to reading it! However, despite these issues Existence for the most part was still very enjoyable for me to reread. It was fun to remember the feelings I had when I first read the book, and to remember the parts that I had to keep myself from squealing about in the back of the classroom my freshman year of high school. It was also interesting to see how my taste in books and how I rate them or feel about certain things has changed. It’s an easy story to follow, for the most part, and there aren’t a lot of things to confuse the readers. This book will be fun for anyone who has an interest in Death, well obviously. 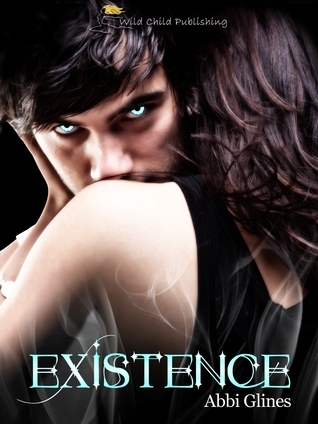 And it will be enjoyable for anyone looking for a low key, simple, not a lot of adventure, paranormal story. I can say that this book will probably not be for everyone, especially with all of the current discussions and awareness of mental illness as a whole. However, regarding that area, this book does not spend very many pages, maybe 20-25, with the issue of mental illness. It reads as if it was thrown in last minute as a way to help push the story toward the final conclusion, but that’s just my opinion. The rest of the book is pretty enjoyable, if you don’t mind going back to high school, some continuity errors, some repetition, stereotypical portrayal of a ‘farm girl’ (that one really pushed my buttons), or the old stereotypical way of portraying people with mental illnesses. It’s a fun concept that I have not seen many people play with in other stories. The story as a whole was pretty interesting. The concept was one that I had not read about when I first picked up the book, and I have not found many books with a similar concept since. With that being said, I think what I liked best about this book was the concept. The writing is okay, it isn’t the best that I’ve read, but it certainly isn’t the worst. The main characters are, for the most part, pretty fun and enjoyable to read about. The only marks that I have against this book are some of the hideous grammar mistakes that I found (I have an older edition so they may have been fixed by now), some of the unrealistic reactions of some of the characters, and the clearly high school, stereotypical way of portraying mental illness and the care that goes into those patients. If it weren’t for those this book would have gotten a 4 for the story. As for the re-readability (if this is not an actual word I will make it one! ), this book was fun to read again and remembering the different feelings I had while reading it years ago. I even remember how angry I got towards the end when I read it the first time. Now that I’m older there were other things that bothered me that I either never caught or didn’t think about before. But overall, this story was pretty fun to read again!